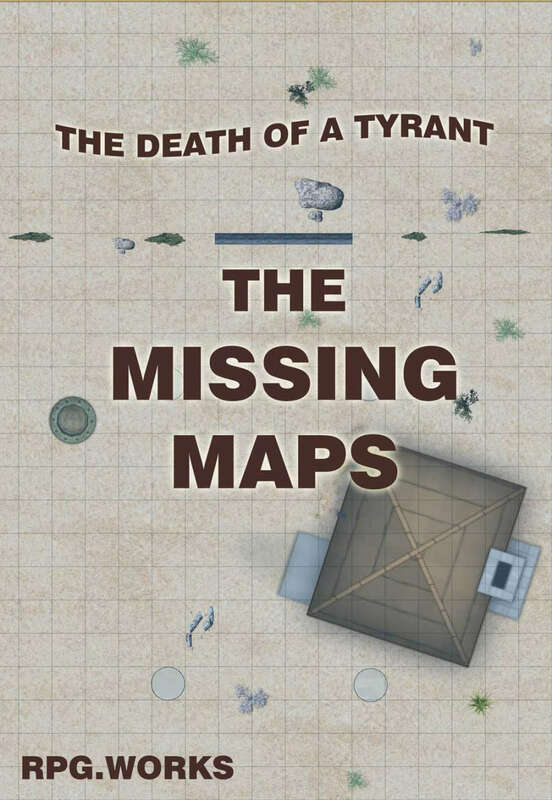 Here are a dozen maps created for use with GRAmel's excellent DEATH OF A TYRANT, their first Beasts & Barbarians adventure. The maps were made for VTT usage, and should work great with Roll20 or Fantasy Grounds - all images are 1.2mb or smaller, so they will not slow your session down or require you to resize them. All are gridded with the gridding being 100px, 75px, or 50px, depending on the scale of the map.